Time to say goodbye to crying windows? Good ventilation is essential for maintaining air quality in your home or business, as well as maintaining healthy moisture levels. Having a draughty house is not the same as having good ventilation. An airtight space is definitely easier to heat, but without proper ventilation the air will not only be stale, it can also be a breeding ground for mould, mildew and dust mites. These nasties thrive in a cold, damp space and can lead to countless respiratory illnesses. Unfortunately, New Zealand has one of the highest rates of respiratory disease in the world, with 1 in 6 kiwis affected. The damp air isn’t just bad for you, but also your home. Moisture build-up leads to moss and mould, both of which can cause extensive damage to your home and your contents. 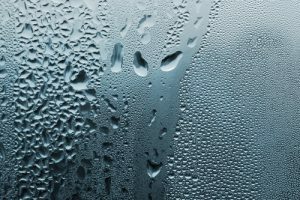 Damp – removing moisture from the air isn’t just good for your health, but also the health of your home. A dryer space is also easier to heat. Health – the same filtration system removes mildew and mould spores as well as dust, pollen and other allergens. Positive pressure system where dry air is drawn from the ceiling space through a filter and supplied through out the house forcing moisture laden air out through gaps in the home. Balanced heat recovery system is removes stale air and replaces it with clean, fresh air at the same rate. It is also fitted with a heat exchanger that actively recovers heat energy from the outgoing stale indoor air to pre-warm incoming fresh air. As such, the need for additional heating of fresh air is reduced. This system is specifically designed for modern homes that are of more airtight construction. At Comfort solutions we install Smartvent & Mitsubishi Electric ventilation products which have proven to be robust, reliable product backed by a 5 year manufacturer warranty.